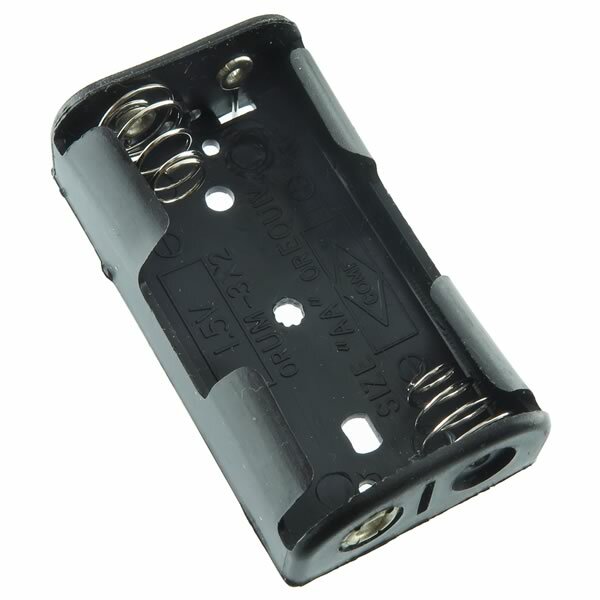 Nice quality firm grip plastic battery holder for 2 "AA" batteries is designed to mount on a PC board (if desired). It has 2 firm long pins to help with mounting or you can just bend them straight out and solder wires to them. The "AA" batteries are connected is series inside the holder. Overall size 2.25" long x 1.24" wide x 0.61" tall.